It is very clear that the view in 1951 was that the ECHR system should protect against only very serious human rights infringements. Pierre-Henri Teitgen, one of Convention’s founding fathers, argued in 1949, for example, that the Convention would address, ‘a list of rights and fundamental freedoms, without which personal independence and a dignified way of life cannot be ensured’. With respect to the second point above, however, it was appreciated in 1951 that the Convention system could develop beyond this very fundamental starting point. Teitgen was a member of the “European Movement”, a body that wanted to establish an ECHR as part of a new European Union. The first proposals for a Strasbourg Court were, in fact, for a “European Court of Justice”, not, a “European Court of Human Rights”. the range and number of decisions given every year” by the latter was “a reminder of the vast—and, to some, alarming—possibilities of international review. There words were written in February 1950. The States themselves, led by the British government, subsequently watered down the proposals for the Strasbourg enforcement regime. By November 1950, when the ECHR text was complete, the Court’s jurisdiction had been made subject to each State’s acceptance of an optional clause, as was a State’s acceptance of the right for individuals to petition Strasbourg (in fact, the European Commission of Human rights). When the UK government ratified the ECHR in March 1951 it accepted neither of these optional clauses, and it looked like the Court might never come into being as eight States were required to accept it before it could be instituted. Needless to say, that was not the end of the story. By 1958 nine States had accepted the Court’s jurisdiction, so it came into being in 1959. Around this time, Sir Humphrey Waldock, the British member (and President) of the European Commission of Human Rights delivered a fascinating speech. The Convention, he said, had two possible identities. It could be looked upon as a collective pact against totalitarianism; but it could also evolve into a type of European Bill of Rights. Everything would depend on whether the States accepted the optional clauses. It was clear how Waldock hoped things would develop. He began his speech with the words, “I propose to sketch for you a broad picture of the Convention as a European Bill of Rights – a Bill of Rights for free Europe. It is that aspect of the Convention which is supremely important”. Waldock noted that the Convention should be of “outstanding interest to English lawyers”, for the “famous unwritten constitution of Great Britain has never been quite so unwritten as some people have supposed”. Skipping forward two decades, in 1979 Professor Waldock delivered another speech, this time at celebrations marking the Court’s twentieth anniversary. By then most States had accepted the optional clauses, and Waldock reflected upon how recent Strasbourg case law had highlighted the constitutional nature of the Convention. Indeed, after 1975 the Court delivered a series of landmark judgments, including, for example, Golder v UK (1975), Engel v the Netherlands (1976), Tyrer v UK (1978), Marckx v Belgium (1979) and Sunday Times v UK (1979). The Strasbourg system was coming to life, and the Court was starting to demonstrate its potential to act a bit like a European Supreme Court in the field of human rights. The UK had accepted the optional clauses in 1966, with little appreciation of what would follow a decade later. However, the clauses were accepted for limited periods of time. On successive occasions in the 1970s, 1980s, and early 1990s, therefore, the UK had the opportunity to withdraw its acceptance of these key aspects of the Convention system – but she didn’t. The relevant Whitehall documentation for the 1970s can now be consulted at The National Archives. Very briefly, it reveals a strong element of British sour grapes (especially at the Home Office) at the way the Convention system had evolved, but that in the final analysis there was more political advantage for the UK to remain committed to the Convention system than withdraw from it. So, for example, the UK’s continued acceptance of the optional clauses was debated by the Thatcher Cabinet in late 1980, when it was reported that the Court was “interfering with the exercise of parliamentary sovereignty” and “limiting [the UK’s] freedom of action” (accusations which are being repeated today). Nonetheless, in 1981, as in subsequent years, the optional clauses were accepted for five more years. Much more could be said about these events, as well as those that followed. For example, the UK tried in vain to ensure that the right of individual petition would remain optional when Protocol 11 to the ECHR was negotiated in 1994. The Court, it was said, had too much power, and the implied threat of non-renewal of individual petition would act as an appropriate check on its authority. However, the UK was virtually alone in making this point, it lost the argument; with Protocol 11 the right of individual petition became compulsory. Today it can be argued that in some cases (very few in this author’s opinion) the Court has gone too far, given its status as an international institution. What this short post has tried to demonstrate is that the idea for the Convention as a type of European Bill of Rights was there from the start. Moreover, when it became a reality for the British government, from the early to late 1970s onwards, to its credit it remained committed to the Strasbourg system, and it has done so since. Ed Bates, Senior Lecturer in Law, University of Southampton. Author of ‘The Evolution of the European Convention on Human Rights’, Oxford University Press, 2010. Obiter J: I don’t have a problem with the UK seeking to appeal Greens and MT v UK to the Grand Chamber. However having seen the UK’s grounds they are very weak. I have a problem with the attempt to re-argue the points lost in Hirst v UK (No2), because there is no provision for this within the Convention. Whilst I do have some issues with the Court, Committee of Ministers and Council of Europe, nevertheless, the UK has signed up to it all and should honour its obligations. If the GC does not allow itself to be bullied and maintains its independence it should send the UK away with a flea in its ear! The UK has failed to honour its obligations for over 5 years and claims the right to not be the loser in a case it lost fair and square. It would be absurd to allow the loser to win because the loser is a sore loser. It would only result in heads the UK wins and tails you lose. It is a long time ago since I looked at how British Colonies were governed and how their law was made. [Remember “Hood Phillips” – Constitutional Law textbook – covered this subject at a basic level – perhaps you have to be a “certain age” to have read his books]. As I recall, Colonies were – (no doubt still are) – generally ruled under “Royal Prerogative” powers and the U.K. Parliament rarely intervened directly. Their law could be made by “Orders in Council” as opposed to requiring Acts of Parliament. Much of this was raised recently in the Bancoult litigation relating to Diego Garcia. This enabled the British Government – (sometimes in conjunction with the “colonial authorities” and sometimes not) – to do some quite dastardly things such as kicking an indigenous population out of their homeland. There are many other iniquitous activities in our interesting colonial history. Obviously, had the E Conv HR applied to Colonies then the British government would have fettered their powers considerably. I think that Mr Hirst knows that, personally, I support prisoner voting. However, there is no doubt that the government are entitled to refer Greens and MT to the Grand Chamber. We will have to see where this goes. I have little doubt that the government will be investing in some heavy legal artillery for this one. Clearly, the government will be hoping to persuade the court to go against their decision in Hirst No.2. When UK gets the chairmanship of the Council of Europe, I think that some other States will need to stand up to the British input which, if the rhetoric is to be believed, is about altering much to do with the court. Some things do need changing but great care is required and the court’s independence is cruicial. I am not a lawyer. I cannot and do not wish to compete with the learned minds applying themselves to the topic here and elsewhere. But a random thought…..no taxation without representation…….the colonists were distant from parliament legally, emotionally and physically. Current undercurrent of antipathy to many organisations “European” cannot in my simplistic opinion be separated from the “them & us” syndrome a factor which academics and practitioners involved in the minutae perhaps do not consider. Decisions unpalatable from Brussels or elsewhere might well be more acceptable were they founded on decisions closer to home. Just as the child who tidies his room when he wants to long after disobeying the instruction of a parent to do it NOW! the British public might not be intrinsically opposed to all Convention decisions were they seen to be closer to home. Yes, there is no doubt at all that, from the British perspective, a key issue was that in 1949-1950 the UK remained a major colonial power. As I expect you know, the late Professor Brian Simpson brings this out superbly in his account of the origins of the Convention. The optional clauses were only accepted in 1966, when the UK Empire was a fraction of what it once was. Finally, on the ‘has the Court gone too far’ point, as I say, I think this applies to very few cases – indeed very few. My starting point there is that this is an international Court and this means that there are natural limitations as to how far it can go in setting human rights standards. I had in mind the points made by the minority in Hirst v United Kingdom. (Personally, I would welcome a change to the current UK law on prisoner voting – but that does not necessarily mean that the Strasbourg Court should initiate the change). In my view, the ECtHR in 2005 has given the UK, within the margin of appreciation, the face saving element of changing its own system. Obiter J: It has been argued that in the Preparatory work of Article 3 of Protocol No1 to the European Convention on Human Rights, that the term universal suffrage was omitted on the ground that the UK did not want to give prisoners the vote. However, I have read the Travaux several times now and have been unable to find any reference to prisoners at all. On the other hand, Dominic Grieve has stated that from the archives in the Attorney General’s office that the UK’s concern was in relation to the colonies. 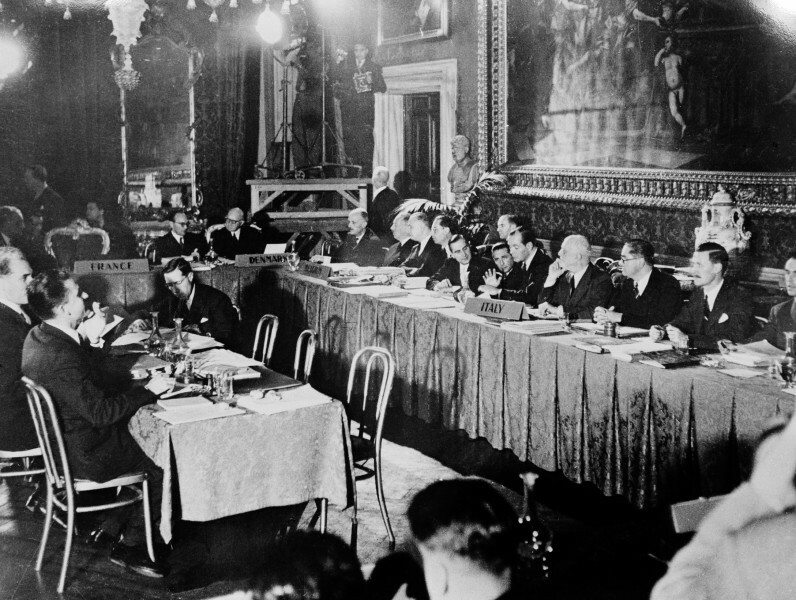 Surely one would have to agree with Ed Bates about the origins of the Convention and what it represented in the aftermath of World War II, but his “having gone too far” theory or point-of-view which disagrees with the benefits of the evolution of Convention jurisprudence can only serve to dilute the supremacy and dignity of western human rights law. A very interesting and informative post – thank you. “we should refuse to accept the court or the commission as a Court of Appeal and should firmly set our faces against the right of individual petition which seems to me to be wholly opposed to the theory of responsible government”. Perhaps lying behind such statements was a reluctance, within government, to risk colonial matters coming under international scrutiny and, at the time, the U.K. still had many colonies. However, there was strong pressure on the U.K. to agree and the Convention was accepted but, until 1966, individuals could not petition from the U.K.